It’s a dilemma of aging supposedly identified by that famous French beauty Catherine Deneuve: Do you want to keep a firm fanny or face? Beyond a certain age, it was said, maintaining a slim derrière meant a hollowed-out face with droopy cheeks and wrinkles. Fortunately, a fast-forward through the decades has brought increased options. Due to breakthroughs in dermatology, we now have effective, minimally invasive ways to address the gradual loss of facial fullness that we all experience as we get older. 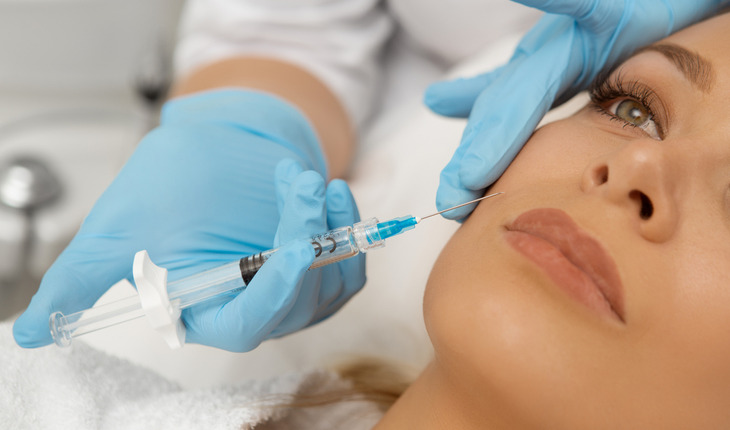 The first collagen-based facial fillers were approved in the 1980s. Since then, skin science has taken impressive steps forward to develop a range of products that – because they are based on the body’s own skin chemistry – can replicate the facial composition that we had when we were younger. The Juvéderm® family of facial fillers, which feature the ingredient hyaluronic acid, provides one example. Hyaluronic acid, or “HA,” is a key component in our skin that we gradually lose as we age. Especially important is HA’s ability to attract water, which keeps our skin hydrated and firm. As we lose HA, our skin loses its structure and suppleness, and we start to sag and develop wrinkles. Juvéderm® and other HA products can restore what we’ve lost. And since the injections replenish what was there in the first place, we don’t have as much worry about unexpected results or adverse reactions, such as allergies. First used internationally starting in 2003, the Food and Drug Administration approved Juvéderm® in 2006. FDA approval, was based not only on Juvéderm®’s safety but also on research that showed it considerably outperformed collagen-based fillers in terms of effectiveness, duration, and patient satisfaction. Since then, Juvéderm® and other HA products have grown to dominate the market, with more than 2 million procedures performed in 2016, according to the American Society of Plastic Surgeons. Educate yourself on the options: Since being introduced, the Juvéderm® suite has continued to expand. Patients should work with their dermatologist to identify what they want addressed: Loss of structure around the cheeks? Laugh lines? Lip lines? Different Juvéderm® formulations can more effectively target different areas. Choose your doctor carefully: HA injections are not surgery, which makes them appealing. That said, your practitioner’s knowledge and expertise certainly factor into the results, not only in terms of their product knowledge but also in terms of their experience and awareness of an individual patient’s facial skin characteristics and facial anatomy. Make sure your desired outcome is understood: “esthetically speaking, patients should make sure that they are on the same page as their practitioner. Asking to see “before” and “after” pictures of previous patients is a good idea. Have a clear understanding of the process: One feature of Juvéderm® formulations is the incorporation of lidocaine to reduce pain during the injections. Patients should have a clear understanding of such elements.Temporary bruising and swelling are always possible after filler injections. Be clear about the results: Patients should be aware of how long the results can last. For some Juvéderm® products, that’s up to two years. Also, it’s helpful to know that after the initial treatment, subsequent procedures may require less product. Consider combining procedures: We’ve seen recent research that indicates there can be synergistic effect when HA injections are combined with procedures such as “botox”. The combination can add up to more than the sum of the parts. Patients may want to discuss a combination approach with their practitioner. John Troccoli, M.D., is board certified and specializes in dermatology at Advanced Dermatology P.C. Advanced Dermatology P.C. and the Center for Laser and Cosmetic Surgery (New York & New Jersey) is one of the leading dermatology centers in the nation, offering highly experienced physicians in the fields of cosmetic and laser dermatology as well as plastic surgery and state-of-the-art medical technologies. www.advanceddermatologypc.com.